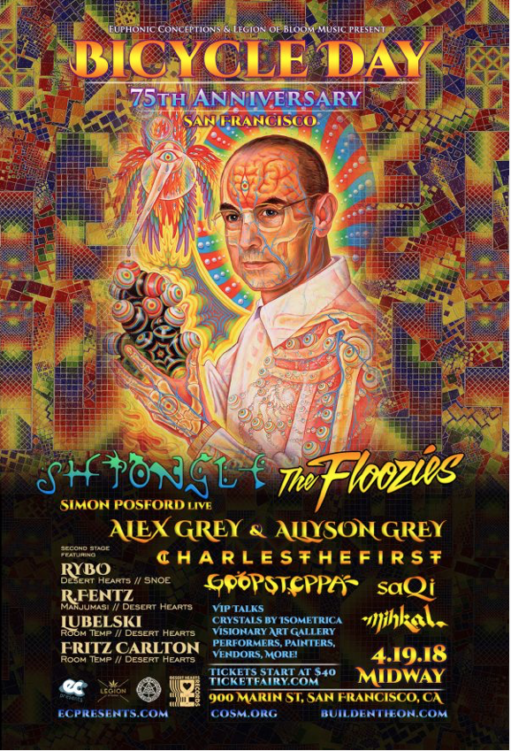 In a curated three-day run, Shpongle and a host of visionary artists will commemorate the 75th anniversary of famed chemist Albert Hoffman‘s initial brush with the psychedelic experience. Now celebrated as an unofficial counterculture holiday, Euphonic Connections is bringing the transcendental event to San Francisco, Los Angeles, and New Orleans. The event begins on April 19th and goes until the 21st. 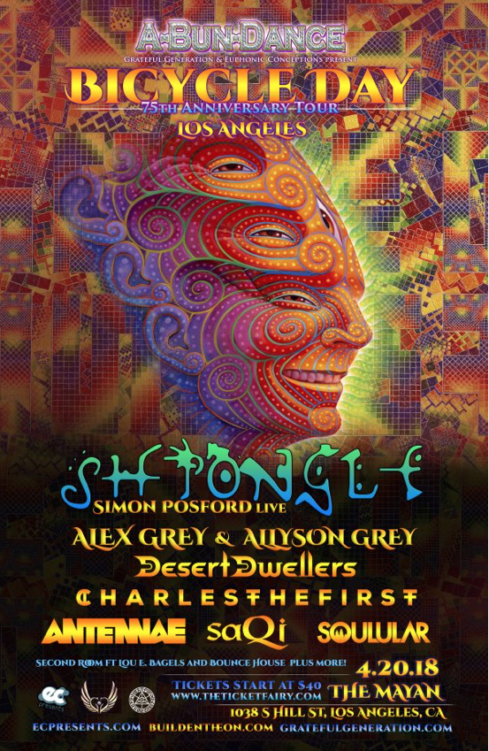 Shpongle will play a rare performance with live instrumentation all three nights. Revolving support for the three shows include The Floozies, CharlestheFirst, Otto, Desert Dwellers and Goopsteppa on select nights. 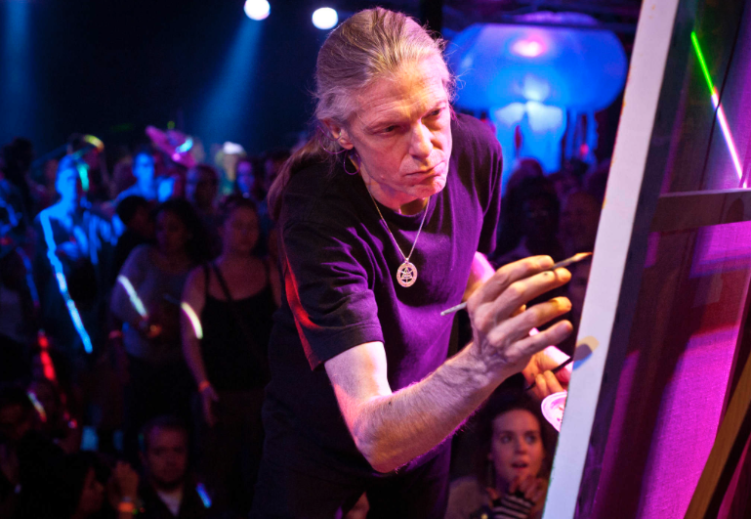 Each night will feature live painting and VIP keynote discussions from world-renowned visionary artists Alex and Allyson Grey. 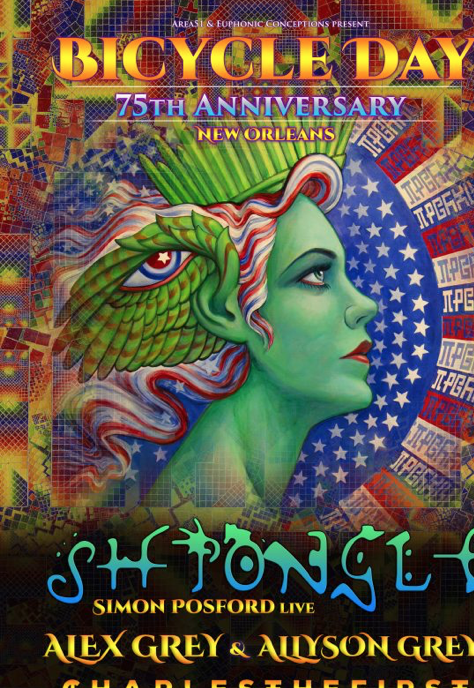 Their collected works have been closely associated with psychedelic realism and New Age movements, and bands as diverse Tool, Nirvana, the Beastie Boys and The String Cheese Incident used their creations for their album art. These shows are designed to be a psychedelic tour de force; spanning art galleries, visual display, personal anecdotes and of course, stellar music performances. Don’t miss out if you’re anywhere near these dates.